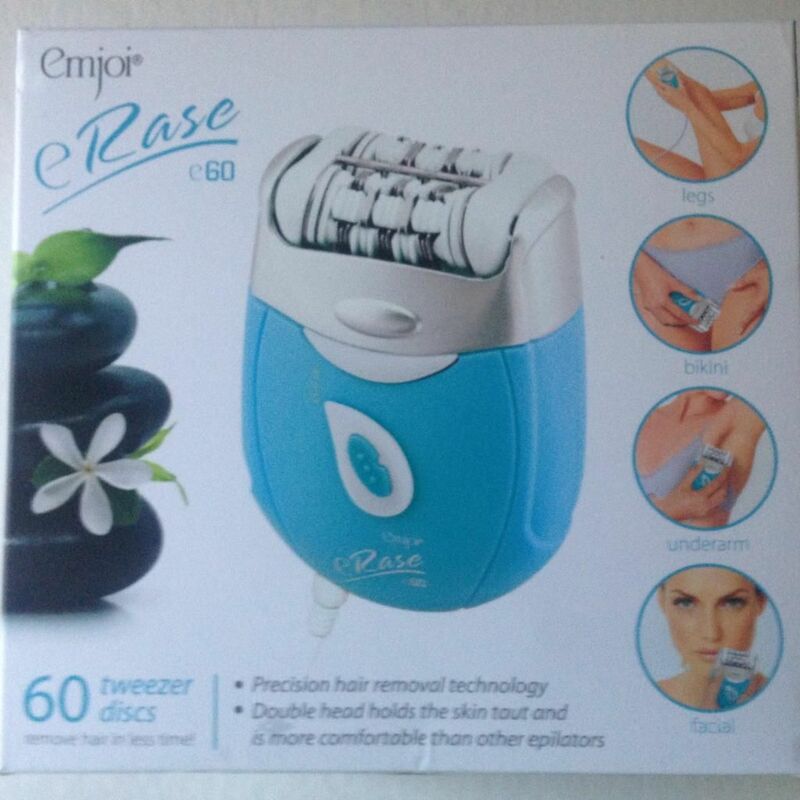 Just released this month, the eRase e60 is the latest in the line of patented 3-disc tweezer system epilators from our friends at Emjoi. As newbies to epilators, we were a little intimidated by the thought of 60 tweezers plucking at our unwanted hair, but we were game to try. Especially with the promise that our skin would be smooth for up to 6 weeks! Well, it was easy to use with the help of their instruction leaflet, relatively painless, and we have smooth skin. Yippee! With summer upon us, the thought that we won’t have to shave as often is a real bonus. Thank you Emjoi!